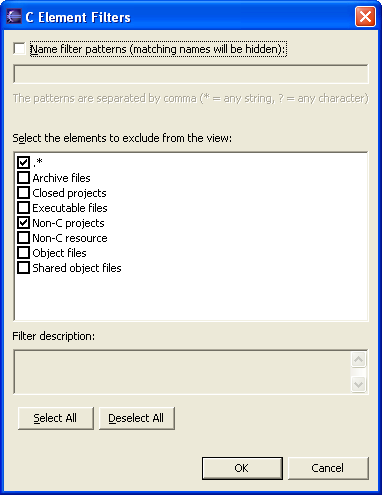 You can hide files by type that you do not want to see in the C/C++ Projects view. 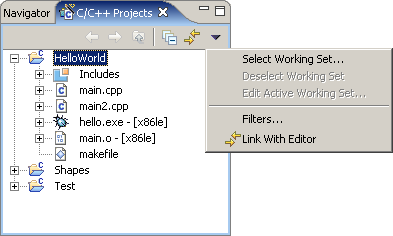 In the C/C++ Projects view, click the Menu icon . Select the file types that you want to hide. The C/C++ Projects view refreshes automatically.